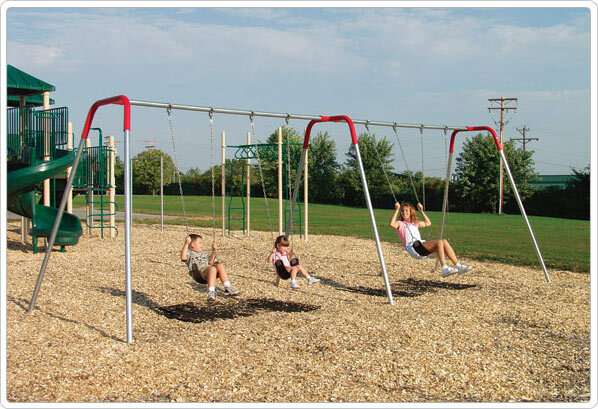 Modern Bipod Swingsets are very strong , commercial grade school playground and city park playground swingsets. They have both 2 3/8" OD (outside diameter) toprails 'legs'. Welded end-yoke fittings are wider than primary swingsets, and this makes a safe and strong center of gravity. End fittings on our modern commercial swingsets are powder-coated red. 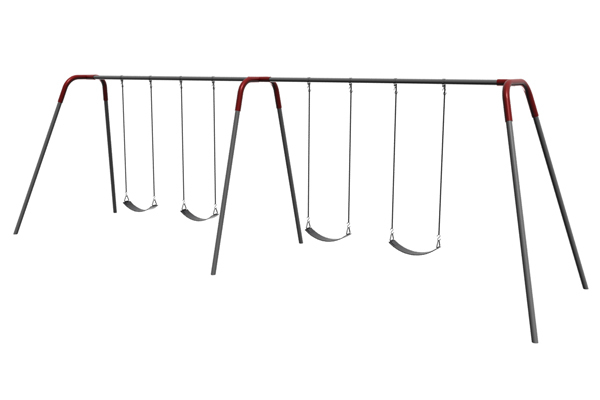 Swing seats, chain, swing hangers and all hardware are the same for all of our swingsets. All swing pipe is high tensile strength, galvanized 13 gu. tubing manufactured specifically for the playground business with a shiny, smooth, triple zinc flo-coat process . Our welded steel end fittings have been field tested for more than 50 years, and thousands are in use today on U.S. school playgrounds and city park playgrounds. All swing come with galvanized steel pipes, self lubrication hangers, 4/0 galvanized welded chain & black cut proof seats. 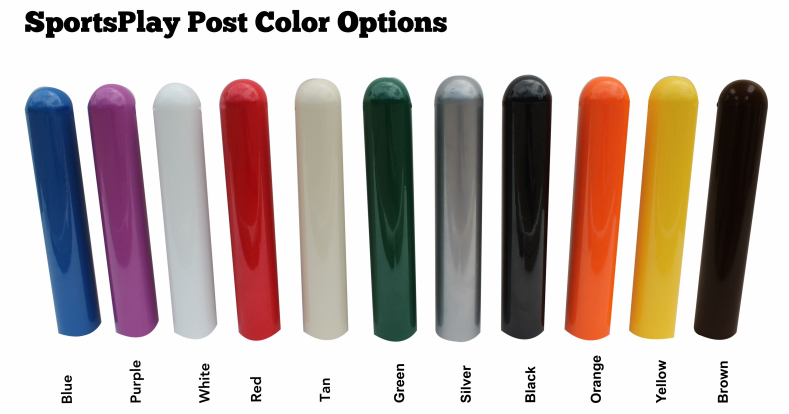 ALL 'END FITTINGS' ARE PAINTED IN THE COLOR OF YOUR CHOICE. There will be a 20% upcharge of MSRP price (plus pallet fee) if customer chooses to paint entire swingset. Copyright © 2003-2017, Bluegrass Playgrounds, Inc., 1056 Fedde Lane Ashland, NE 68003 USA.